Beth Ann & Jessica's Helpful Savings: Shop at Home: EOS Lip Balm 97 Cents Shipped (From Walmart) After Cash Back! 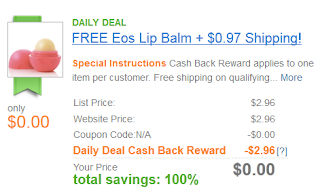 Shop at Home: EOS Lip Balm 97 Cents Shipped (From Walmart) After Cash Back! 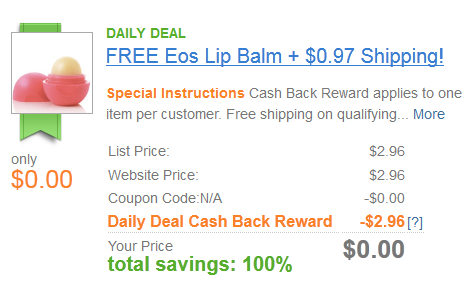 Shop at Home: Get this EOS Lip Balm for 97 cents shipped from Walmart after $2.96 cash back. You must go through Shop at Home for this deal! Get a $5 sign on bonus too, so that's a nice money maker.